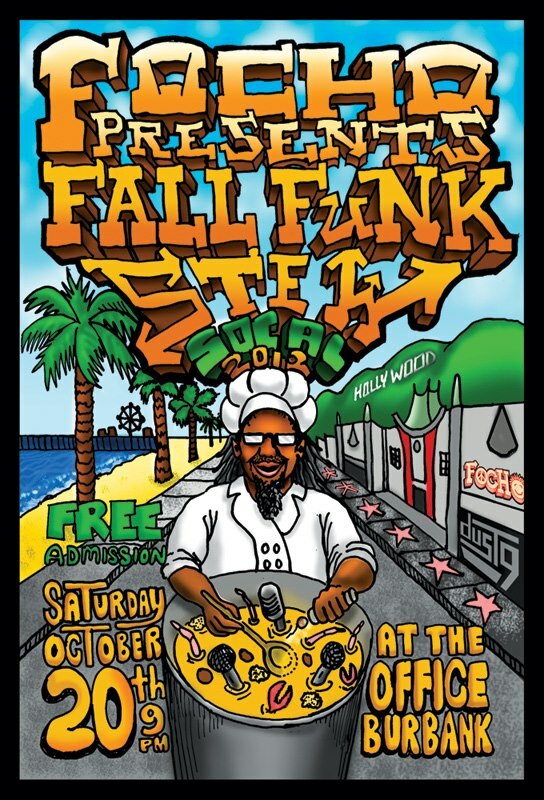 Focho Presents our very first So Cal show and 2nd Annual Fall Funk Stew Concert, Saturday Oct 20th, 9pm at the Office, 3516 W Victory Blvd, Burbank, CA 91505. Admission is FREE! 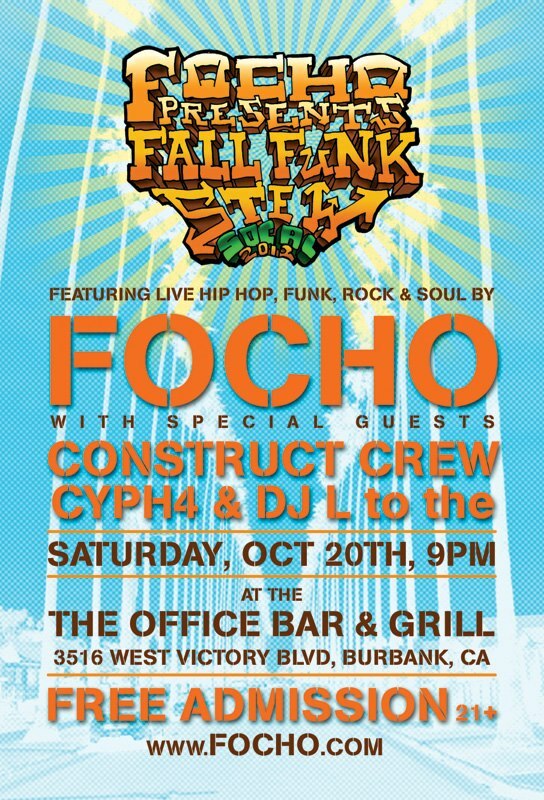 Featuring live funk, hip hop, rock & soul music from Focho. Special Guests Cyph4, Construct Existence Crew and L to the on the 1's and 2's playing those funky jams to get your body moving. If you like to dance and groove with positive music and high frequency folks you don't want to miss it! THIS SATURDAY!!! 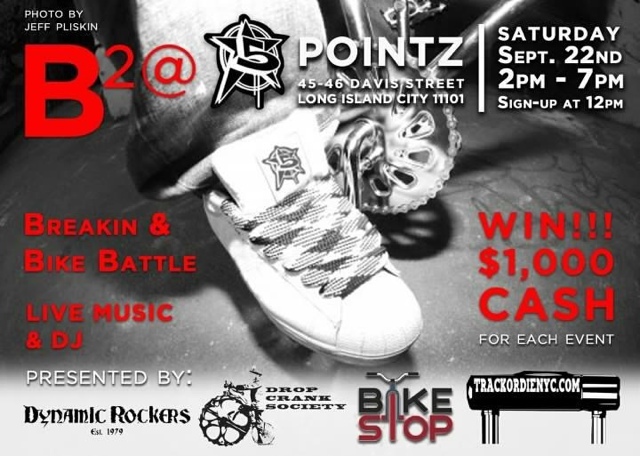 Be there and BESquared at 5 Pointz! 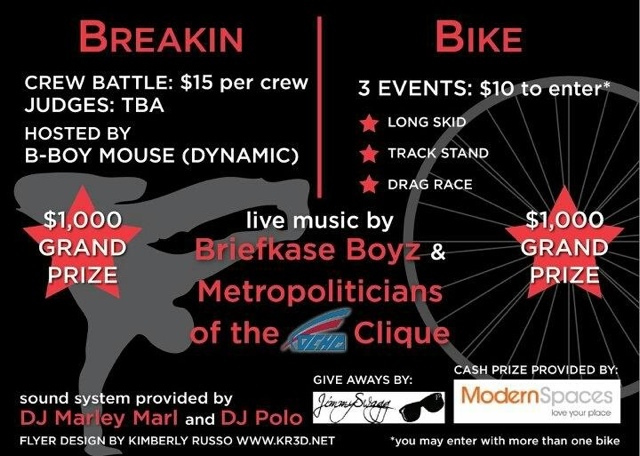 MetroPoliticians are holding it down with a set, b-boy battles, insane graffiti, and fixie kids goin stewie uwwwie uwwie! YEE! About 1 year ago, Guy n I took a lil trip to Brooklyn to kick it with Paisa1er.While the Paisa1 had, uh, vacay time in Jamaica, Vince swooned us out to Manhattan and took us to Mamoun's for some late night gyro goodness. They are known for their hot sauce, Guy is known for not eating hot sauce. Aite LATE! Super stoked to kick in NY once again with ma peoples, and of course to spit raps with Paisa1er at the dopest graff spot in life, ever. CHEAH!!!!! Performing Mp jams on Saturday. Watching phixie boys (and hopefully girls) do the most on Saturday. Hella breaking crews bout to get bizzy on Saturday. Giving away $2,000 on Saturday. Dj Marley Marl and Dj Polo providing yams on Saturday. Tell ya Mamason... And ya Papason. You know how we do. Friday night in the garage. The show in Gilas was fun, but was unfortunately very badly coordinated. As you can see, not a lot of people stuck around after the comps ended, which happened about an hour before we played. Good grief! But the people that were there held it down and were grateful for our performance. Next year we playin right at noon! That's right!!!! The crew is once again linking up in the heart of it all: the South, South Bay, the great 408, Gilas! We're stoked to be playing at this year's Extreme Youth event at the Gilroy Skate Park, hosted by the (insert corny fake gratuitous adjective) GPD. Whatever yo, it's an ALL AGES EVENT, little kids are gonna shred on BMX and skateboards, plus food and cool stuff, so I'm hype. It all starts sometime before noon and goes on till 6. Expect many a Gilroy guest MC for this one. We play at 3pm, but come out earlier to hang and sheck it ouwwwww! Hope to see y'all out there! 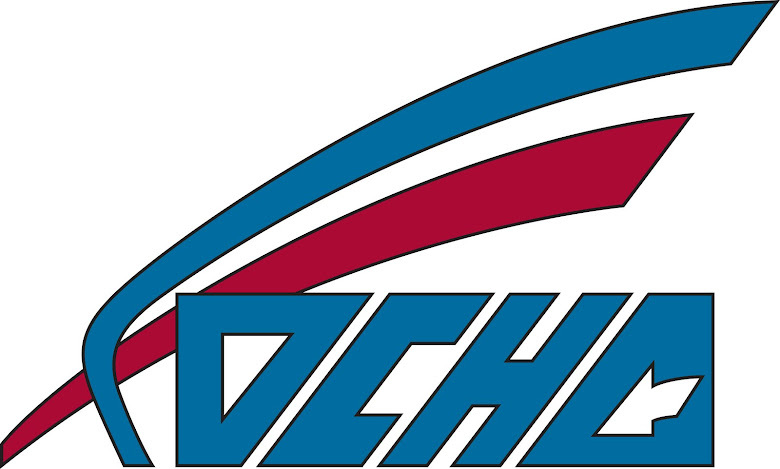 Cheah!